Here are some altitude charts of Ladakh in the Indian Himalayas drawn with data taken from my Garmin 60Cx GPS on my motorcycle trip through the “Abode in the Sky” in May/June 2013. The altitude signboards put up by the army are off by a few hundred feet but here it is accurate to within a few feet. Scroll down for the route map, a chart in meters and photos from the trip. 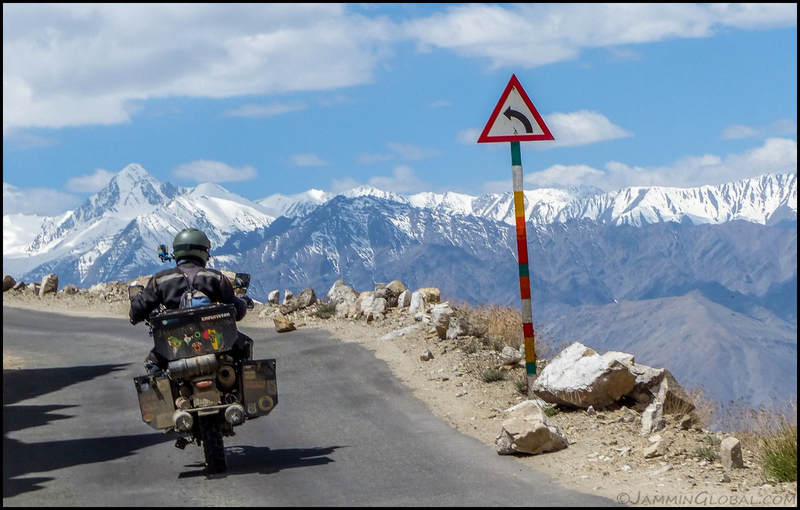 At Khardung La! GPS says 17,660 ft. The Army is off by a few hundred feet. How’s the view from down there? 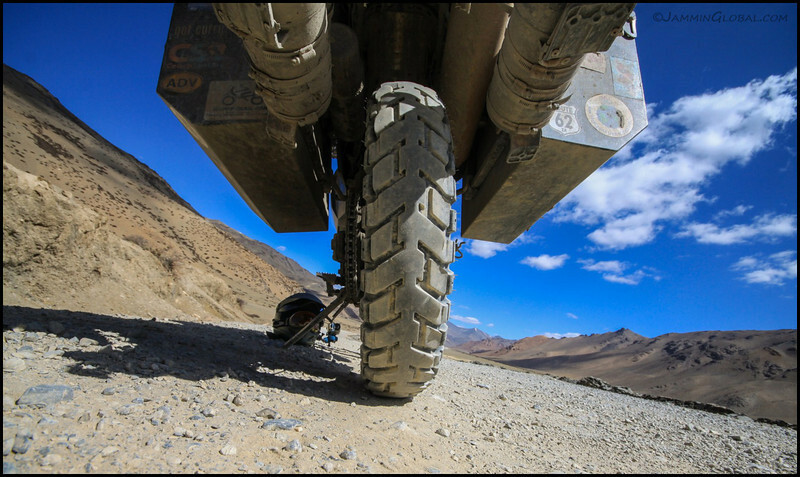 sanDRina riding on a set of Heidenau K60 Scouts across the Morey Plains of Ladakh in the Indian Himalayas. A crisp morning at 4,650 m (15,252 ft).